Equatorial Guinea and Royal Dutch Shell have signed a Memorandum of Understanding (MoU) to reinforce cooperation in future oil and gas projects in the West African country. The agreement, signed between the supermajor and Equatorial Guinea’s Ministry of Mines and Hydrocarbons, will see Shell gain a stronger presence in the country’s oil and gas sector. “Equatorial Guinea is an African leader in upstream oil and gas development and the strategic monetisation of gas reserves”, the Minister of Mines and Hydrocarbons, Gabriel Mbaga Obiang Lima, said in a press release. The oil and gas firm is currently active in Equatorial Guinea after having acquired BG group and through purchasing agreement with EGLNG for its liquefied natural gas (LNG). “The government has pledged to continue on this progressive path, and with the knowledge and experience of Shell Group, I am confident that this agreement will usher in new opportunities for investment”, the minister added. 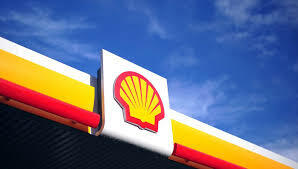 He explained that Equatorial Guinea is looking forward to establishing a “long and productive relationship with Shell”. The MoU became effective on July 4 and will enable a greater cooperation between the two firms. Shell completed the acquisition of the BG Group in February this year, marking the company’s entry into the country, although this is pending the approval from the Minister of Mines and Hydrocarbons. The BG Group holds a purchase agreement for all the liquefied natural gas (LNG) produced by EGLNG’s LNG facility since 2007. The LNG purchasing agreement has a duration of 17 years. 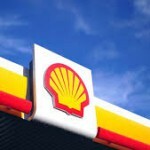 As well as Shell’s increased focus in its existing activities, the deal marks its future entry into new hydrocarbon projects. Equatorial Guinea rapidly became a major African producer with the Alba field coming online in 1991, rapidly followed by the Zafiro field in 1995. By 2005, the country’s oil production was reaching its peak, at 358,000 barrels per day.